least-loved member of Battle Force 2000, I’m glad to have a modern version of him in my collection. random silver stripes than anything else. There’s also a little silver on Dee-Jay’s crotch, referencing the vintage figure’s codpiece. The helmet is still predominately white, though it still has the red detailing on the helmet. Silver is used on his goggles and on the tech-y details near his mouth. Dee-Jay’s exposed face is painted with a relatively light African-American skintone. I appreciate that the Joe team’s African American members don’t all have the same skin color as there is a wide variety in African American skintone. The colors and paint work are solid even if I’m still not sure how well his colors would work in the field. can provide him cover while he’s doing his job of calling in support. I know that no one really loves Dee-Jay all that much. From what I’ve seen, he’s on a lot of people’s personal lists of worst Joe figures out there, but darn it, Dee-Jay was one of my figures back in the day and I like him. 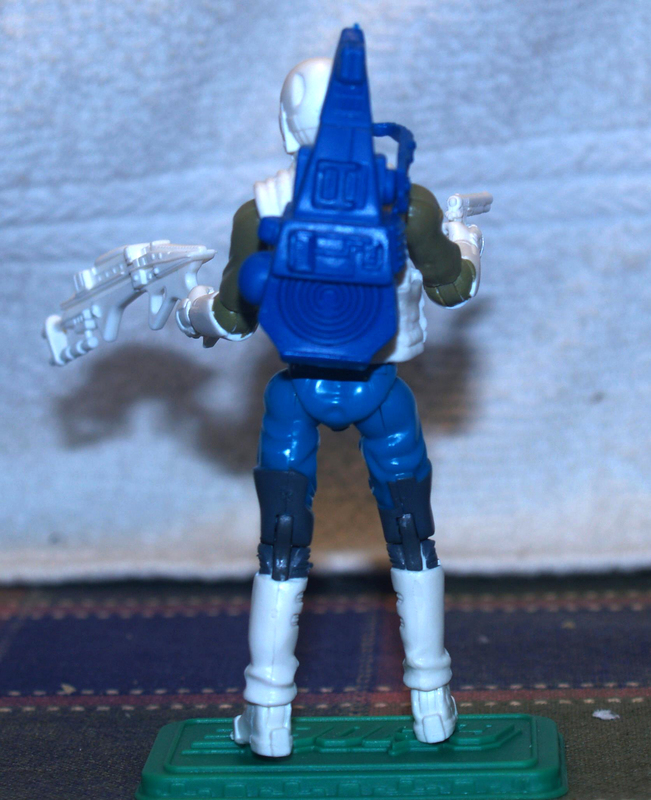 This modern version is a great take on him, and I think the best part is that Dee-Jay actually got released alongside the rest of the Battle Force 2000 team for a change. 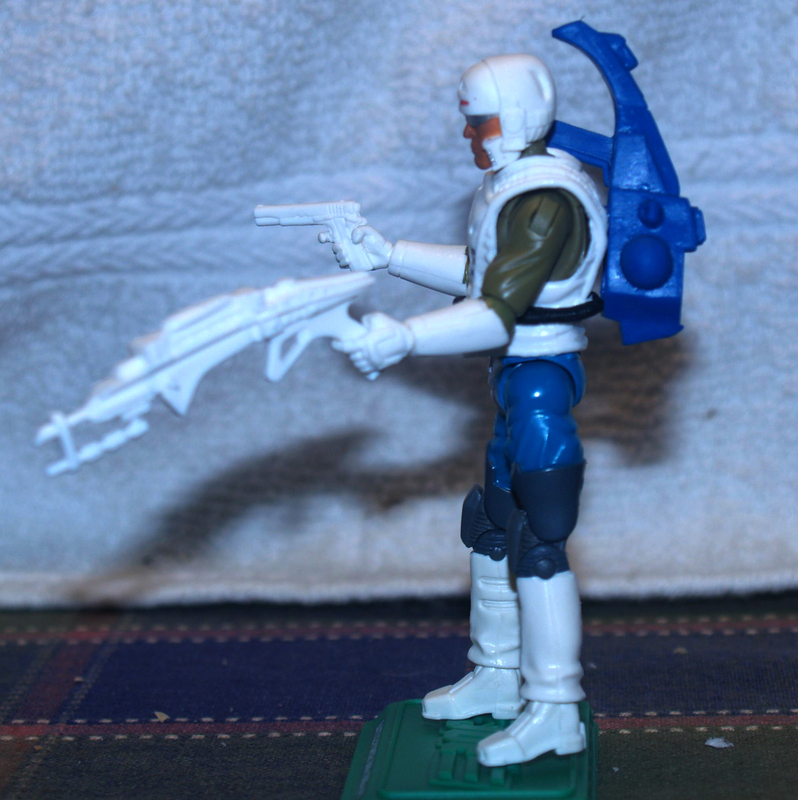 Honestly, I’ve always thought part of the antipathy towards Dee-Jay was that his figure came out two years after the rest of the Battle Force 2000 figures did. His inclusion seemed like an afterthought, even in the comics, where I believe Dodger made some comment that Dee-Jay was on his first mission as a Joe and he wound up coming back dead. However, getting released alongside the rest of the Battle Force 2000 team turns him into an integral part of the unit. Dee-Jay was a perfect souvenir for this con set. 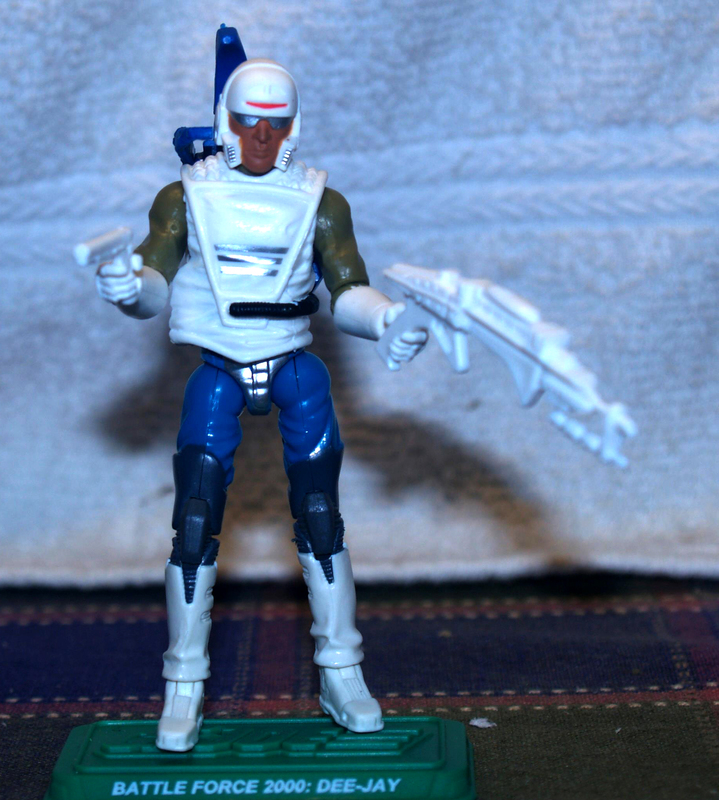 If you didn’t go to the con, it was harder to get him, however, very few people are going to consider their collection of Joes or even Battle Force 2000 figures incomplete without a modern version of Dee-Jay. 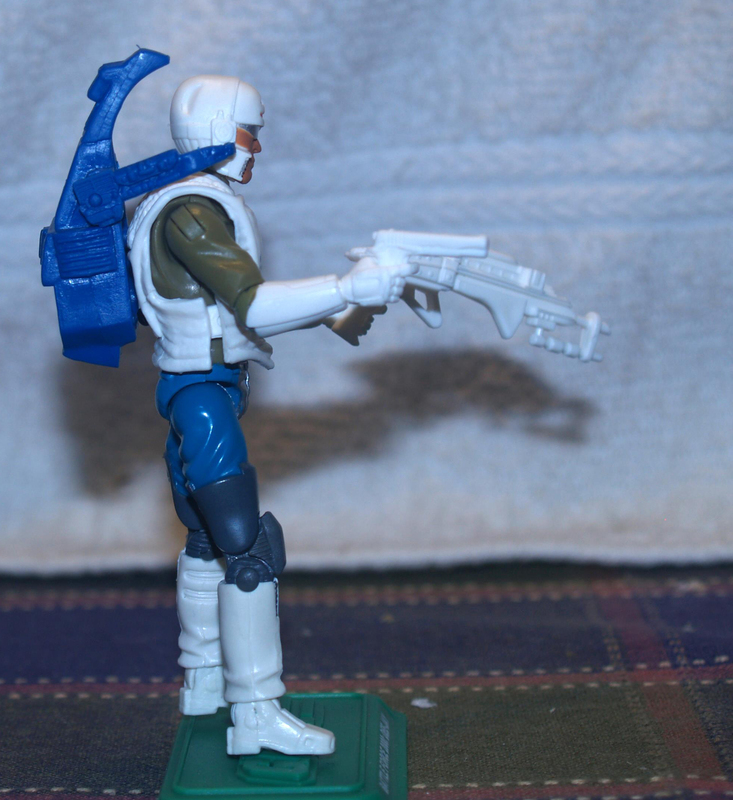 I assumed the GIJCC would do Dee-Jay at some point after the Battle Force 2000 set was revealed, and I’m glad it was done this way so you didn’t have people upset about him taking the place of someone more “deserving” in one of the last two FSS assortments. Dee-Jay may not be the most popular guy out there, but the GIJCC made a solid figure and I couldn’t be happier to have Dee-Jay on display with the rest of my Joes. The upper legs may be from the 25th armored CC, but the lower legs are from the 25th Iron Grenadier. The lower arms are the ROC Flash.